Designed for campers who already have a foundation in acting for film, the 4-Week Acting for Film II Camp challenges young aspiring actors to build upon their existing abilities to take their craft to the next level. For teen actors who want more experience and training acting in front of a camera, the 4-Week Acting for Film II Camp is an ideal way to study acting in either Los Angeles or New York City. Campers who enroll in NYFA’s 4-Week Acting for Film II Camp tend to be driven and passionate about acting, and seek to strengthen their skills and abilities as teen actors. The camp is structured so as to encourage their passion and keep them challenged and entertained, providing campers with plenty of time in front of the camera. Campers gain experience shooting scenes in class, and also have the chance to audition for roles in filmmaking students’ films. In addition to this practical experience, campers receive training in best practices for nailing an audition. Rigorous classes are supplemented by a series of special topics that may include Shakespeare, stage combat, dialects, and film craft. 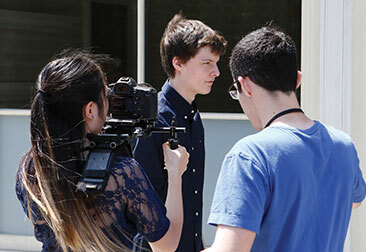 At the end of the 4-Week Acting for Film II Camp, there is a final screening held for cast, crew members, family, and invited guests to see students’ hard work. Teens who successfully complete the 4-Week Acting for Film II Camp receive a New York Film Academy certificate and a copy of their work.